Do you dream of running your own small business? Do you love crunching numbers? Are you interested in changing careers? Or maybe you’ve been in the business world for a while but you want to update your skills? Our Open Days can help! Our Tasmanian School of Business and Economics (TSBE) has a great range of events coming up across the state to encourage and inspire entrepreneurs and businesspeople. Here's a small snapshot of what's on offer. What’s it like being a TSBE postgrad, and what can postgrad study offer you and your career? Come to the postgrad hub and find out! Where: Trade Table Lounge, Centenary Building. 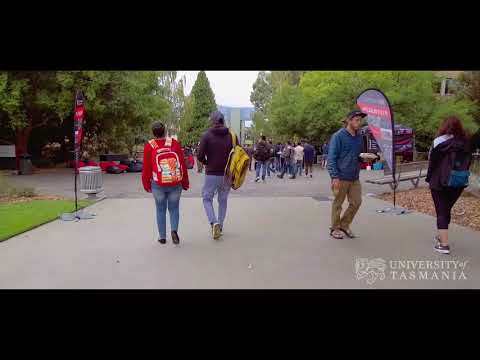 This is a fantastic opportunity to hear from Tasmanian entrepreneurs on how their University degree helped them carve out their own niche in the business world. Where: Harvard Lecture Theatre 1, Centenary Building. Come and learn about our Corporate Internship Program that gives our students valuable work experience while studying. Come along to the info hub at any time during Open Day and we’ll be there to answer your questions about study and careers. Where: The Studio, Architecture and Design Building. Why Study Business and Economics? Did you know that the Tasmanian School of Business and Economics is one of Australia’s premier business schools? Come along to this presentation and hear about the courses available and the exciting career outcomes. Come and learn about the Corporate Internship Program that gives our students valuable work experiences while studying. Find out more about studying Business at the University here. Our Australian Maritime College is set to make a splash this Open Day!